It makes me sad that every morning for the past couple of weeks I have been reading about more sightings of snowy owls in the lower 48. I am afraid we are going to have another irruption year. 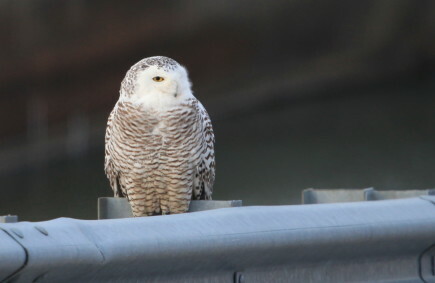 The frequency of this is all about climate change, though I have not seen many writing about this, particularly in birding discussions (of course!). I so loved getting to see them when they were in Lawrence in 2012. However, I also learned a great deal about them and what I learned was heartbreaking. They are here because they are starving. They have little experience with humans and are vulnerable to attack, cars, planes, buildings, etc. Because they have so little experience with humans, people are often able to get pretty close to them before they fly away. This adds another layer of stress to a hungry bird who is trying to conserve energy. Please, if you see them, act responsibly. 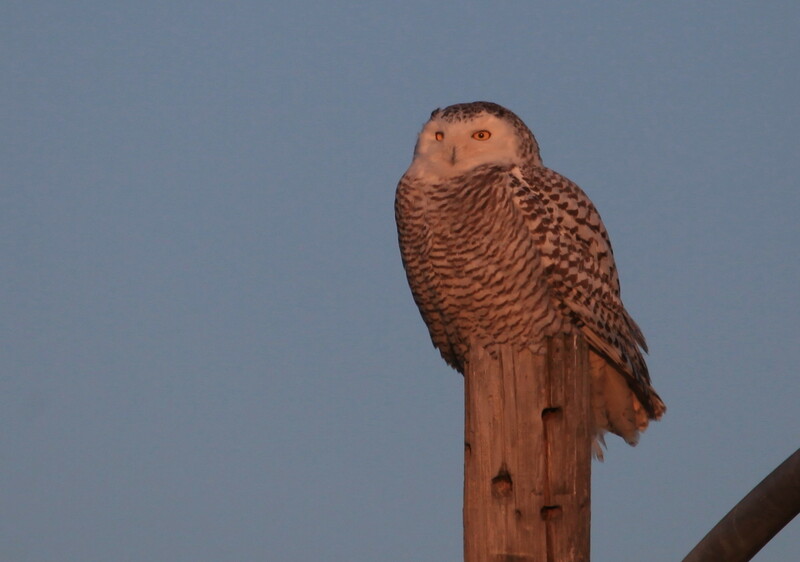 Observe these beautiful birds from a distance. Show some respect. 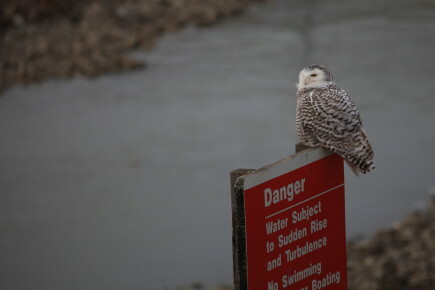 If you see a snowy owl in distress, contact a rehabber who can help and while you are at it, make a donation. 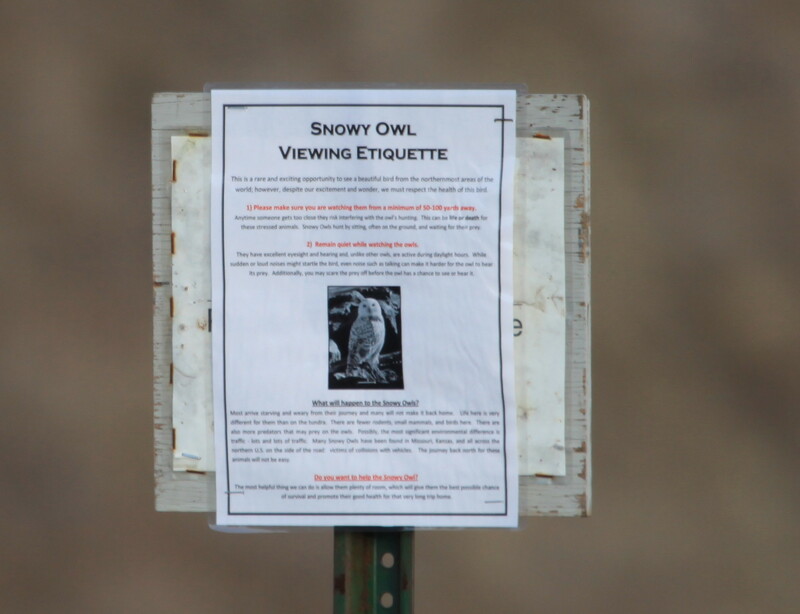 This entry was posted in owls, Snowy Owl and tagged Clinton State Park, Snowy Owl on December 4, 2013 by admin.